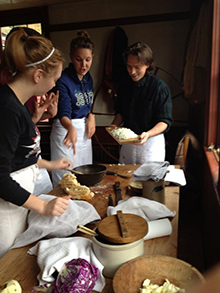 Museum Matters CGP students' blog about current issues in museums and their summer internship experiences. CRG@CGP Students' reflections on Class, Race, and Gender. 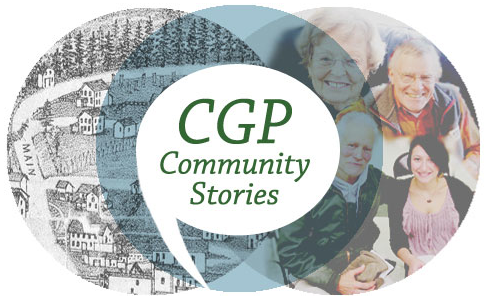 CGP Community Stories Collection of oral histories performed by students as a part of HMUS 520 Research and Fieldwork. "Call Me, Gretchen" A video produced by the Class of 2014 for their Inteview Weekend Exhibition featuring a music parody of "Wannabe" and "Call Me Maybe". "The Amazing Chase: Cooperstown Edition" A short video produced by the Class of 2014 for their Orientation Video. "Destination: Cooperstown" A short video produced by the Class of 2013 as part of their Interview Weekend Exhibition. A look in to the community of Cooperstown and the key role the CGP plays in the village around it. "A Sneak Peak Into A Week at the Cooperstown Graduate Program" A short video produced by the Class of 2012 as part of their Interview Weekend Exhibition. Experience a week for the average student at CGP. 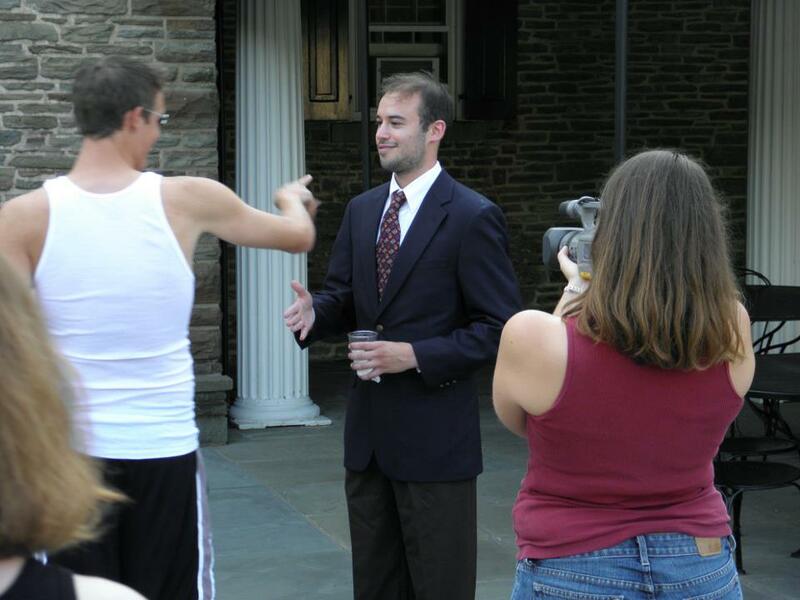 "Law and Order: CGP" A short video produced by the Class of 2013 as part of their Orientation experience. "Otsego Shore" A short video produced by the Class of 2012 as part of their Orientation experience. "Building Futures" A short video produced by the Class of 2011 as part of their Interview Weekend exhibition. 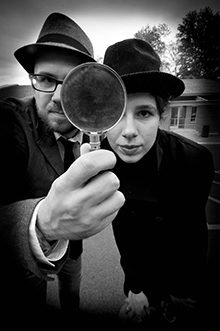 "Museum MacGyver" A short video produced by the Class of 2011 as part of their Orientation experience. "I Love Cooperstown" A short video produced by the Class of 2010 as part of their Orientation experience. American Paintings at the Fenimore Art Museum An online database of the museum's paintings created for ARTC 540 Survey of American Art. An Archive From Back to the Future Listen in on the Archive of New York State Folklife, 1964-1983. Haley Gard ('13) works on CGP Community Stories with NYSHA librarian, Wayne Wright, and CGP professor, Will Walker..
Michelle Paulus, Kahla Woodling, and Eric Feingold (all '14) learning traditional hearth cooking. 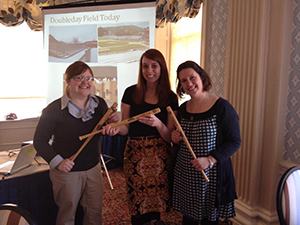 Jessica Mayercin, Emily Lang, and Christina Parise (all '13) present at the Cooperstown Rotary Club as part of a project on Doubleday Field for American Material Culture II. Members of the Class of 2011 film their orientation video at Lake Otsego. Members of the Class of 2012 film their Orientation video, Otsego Shore. 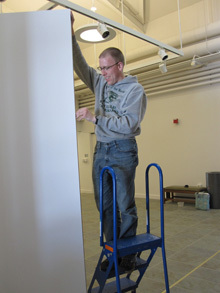 Geoff Woodcox ('11) constructs temporary walls for an exhibition in CGP's gallery.